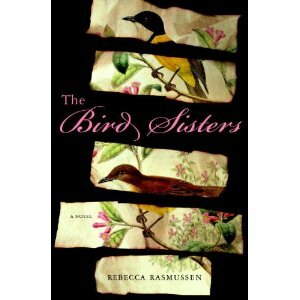 Rebecca Rasmussen came to Columbia to give a reading at PS Gallery at the start of May this year, just after her wonderful debut novel was published. I had been speaking with Rebecca for some time on twitter and invited her to make the trip down I-70 from St. Louis to visit. Her reading was exquisite – understated, funny, and full of charm. I bought a book that evening but only got around to reading it some weeks later. The novel tells the story of two aging sisters, Milly and Twiss, who live in the small town of Spring Green, Wisconsin, in the house they grew up in. Much of the story is told in flashback, relating the story of an eventful summer decades previously when the girls’ cousin, Bett, comes to stay. It is a summer that changes the girls’ lives for ever. As a middle-aged male I was probably not the publisher’s imagined audience for this novel, and I will be honest – I wasn’t sure if the story would be entirely my kind of thing. But how wrong I was. I simply adored this book. For a start, the prose is just exquisite. The language glows. Rich, honeyed phrases roll off the page, one after the other, a procession of beautiful sentences. Rasmussen writes with unflashy brilliance, perfectly capturing the lilting rhythms of a just-bygone age. It is the sort of book that constantly makes you want to tap the shoulder of your neighbor to share a particularly delicious morsel. The two principal characters, Milly and Twiss, are drawn with brilliant clarity. Twiss, the younger, more impulsive and flamboyant of the two, is a joyful whirlwind of youthful exuberance, but I liked Milly more, intrigued by those still waters, and wondering how deep they ran. Both have stayed with me long after the final page. The attendant cast of secondary characters are equally memorable, pitch-perfect and rendered with flawless economy – and often hilarious. I particularly loved their mother, with her French pretentions, and their doomed, golf-pro father. But, in the end, it’s the story the counts. This one is a heart-breaker. I won’t give anything away, save to say that Rasmussen reels the reader in almost imperceptibly, and then refuses to let go, relentlessly but ever-so-gently ramping up the tension, page after page. The denouement is perfect. It left me pondering the nature of love, loss, and sacrifice, and considering what might have been, and how tenuous are the threads that tie our lives together. It did, in other words, what all good books should do: it made me feel, and it made me think. So, highly, highly recommended. My book of the year so far. Go and a buy a copy. If you live in Columbia, there are signed copies available at Get Lost Bookshop on 9th Street.